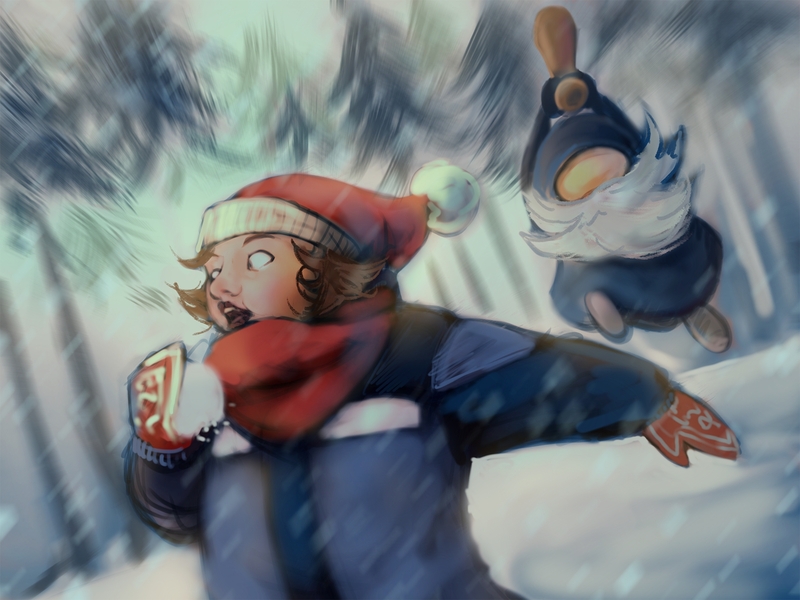 Nordavind is a playful game starring René, a child living in wintery rural Norway. Using the snowy environment, you have to traverse a world ridden with challenges and monsters, and reclaim your lost teddy bear from the evil snowman. It's late at night and I thought i'd have a look at itch.io to view the new releases and I cam e across this gem of a game. Even though it's for the younger generation, I really enjoyed spending sometime playing this game. The mechanics are great, the audio just made me chill out a little and I loved just being able to pan around the environment. A very well stiched together product. I loved the way the snow trails didn't disappear so when I got higher up I could see my tracks and when I died I felt a little bit sad that I hadn't completed the game. Tomorrow I will revisit Nordavind and try to play the game without dying but overall, it's a cracking little game/project. Well done to all involved. I can honestly say that out of all the videos I've done today, this is one that makes me want to find out what happens at the end. Wonderful, absolutely wonderful.